Explore one of the Seven Natural Wonders of the World. See incredible animals in their native habitats. Experience the breathtaking natural beauty of South Africa and Botswana. This all-inclusive, five-night safari journey is the perfect post-cruise expedition to satisfy your thirst for adventure! 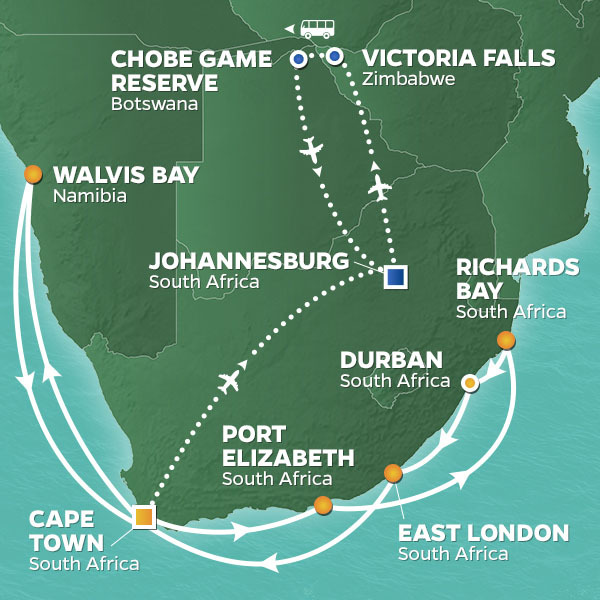 From awe-inspiring Victoria Falls to the thrilling Chobe National Park, you’ll be delighted and amazed every step of the way. And with plenty of optional excursions and leisure time, there are lots of ways to customize your African adventure. Disembarking the Azamara Quest® is just the beginning of your journey. Once you debark the Azamara Quest, you’ll be transferred to Cape Town International Airport for your flight to Johannesburg. A second flight will take you to Victoria Falls, where you’ll check in at the historic and luxurious Victoria Falls Hotel. Enjoy lunch at The Lookout Café, perched 120 meters above the rolling rapids of the Zambezi River. Relax during a leisurely afternoon before departing for a 2.5 hour sunset river cruise. After breakfast, board your vehicle for a scenic guided transfer to Chobe National Park in Botswana. This park is the third largest conservation area in Botswana and home to Africa’s largest elephant population, as well as a host of many other animal and bird species. 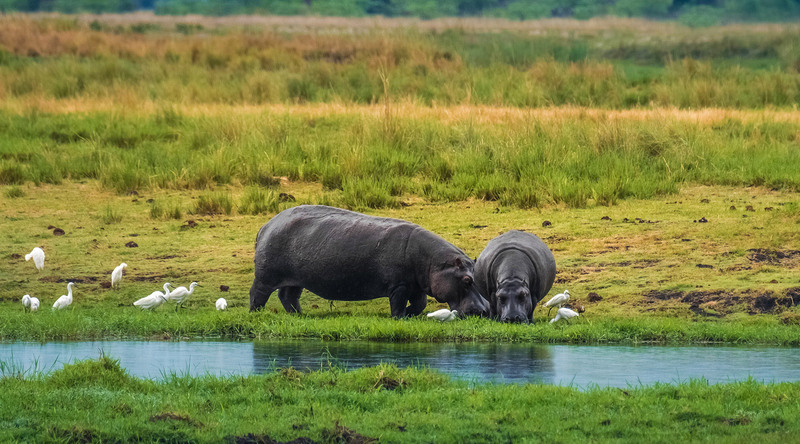 In the afternoon, take a boat cruise or a safari along the Chobe River and spot hippos, crocs, and elephants. Don’t forget to set your alarm as you’ll have an early start. An early-morning game drive is the perfect opportunity to observe animals at their most active. Later in the day, you can opt for a guided Chobe Exploration Day Tour, or take a stroll along the Chobe Boardwalk for incredible views. In the afternoon, opt for a game drive or a safari cruise before dinner at Chobe Game Lodge.